You are at: Home » Marketing » QA07: What Would You Suggest People Who Are Starting Out, Use To Organise Their Leads? 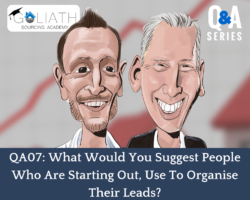 QA07: What Would You Suggest People Who Are Starting Out, Use To Organise Their Leads? This is the seventh episode in our special Q & A Series. We look at how to get your lead generation software set up. Mark: So Anne’s asked another question and it is what would you suggest people who are starting out to use to organize their leads? So this one’s quite a big question because again, it’s something that when I first started out, it was all a bit chaotic and over time you eventually sort of start to hone in your organization levels and find that by being organized you can do a lot more with the data that you’re keeping. And so I would always say that you need some form of CRM which is customer relationship manager I think. Mark: Yeah. So you need some sorts of CRM system. Right, systems man? Or at the very least and at the very least you need something that connect Excel spreadsheets. Keep a record of all the leads that you are tracking. And so one of the things that I would recommend is always copying the hyperlink. And so the hyperlink is the bit in the address bar when you put stuff into Google, when you go to that specific web page, and you can copy that bit in the address bar and put that into your Excel spreadsheet or your CRM just so that you’ve got a very quick reference point where you can click on that and go straight to the property information when it comes to follow-up. An offer or chasing an offer because needless to say, you are going to be doing this a lot. 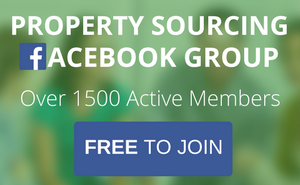 If you’re serious about sourcing and about making serious money, you have to work hard and speak to lots of people and generate lots of leads. You’re going to need to track these and make sure that you can go back very quickly. And so far, telephones you want to say, “Yeah, you’ve responded to my ad. There is this.” You can straight away click on that link, pull the details up and talk to them as though they’re the only person that you’re talking to. So that is really important. And then of course, like I mentioned there on point two is really important how some form of a database so that you can keep your follow-up processes in. And because those of you that know me and who have been mentored by me and taught in the private groups and even the public groups, massive, massive emphasis is always on follow-up. Because it’s in the follow-up that you will probably get more deals than in the initial contact. 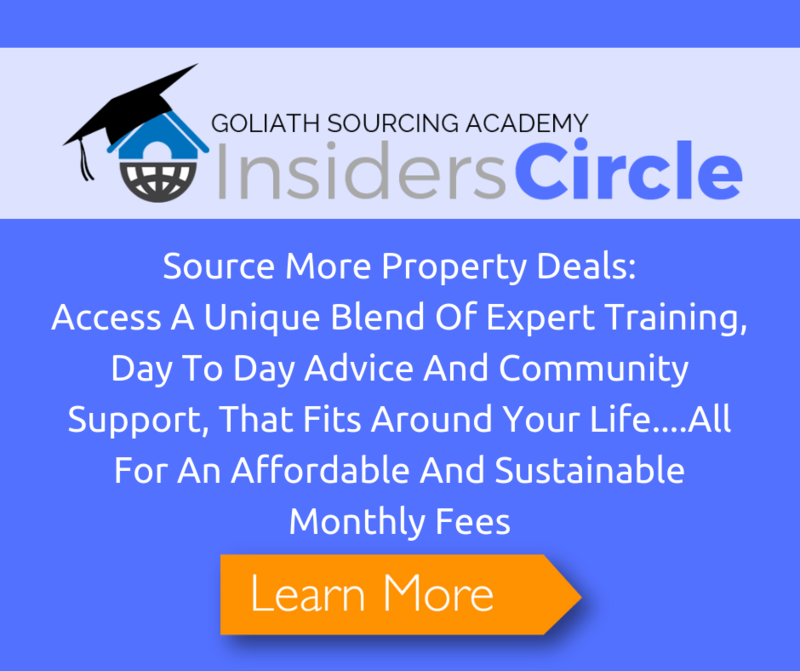 So you will get deals straight away for people that are absolutely in desperate need for your help. But most deals will come through follow-up through chasing your offers, and through just making sure that you’re keeping in touch with these people, and to make that as simple as possible. You need some phone or CRM system. And I’ve just got a few down there at the bottom. I’m sure most people have heard of some of these, if not, all of them. Podio, Less Annoying, Zoho, Active Campaign. The easiest ones start with the one I started with, Less Annoying. We’ve progressed now onto Active Campaign. Active Campaign does a lot more than Less Annoying did. And then Podio is really good for building out yourself. You can use a sort of foundation and then really tailor that to what you need. But getting going, I would certainly say if you want to go a level above an Excel spreadsheet, use something like Less Annoying. I think it’s about £7.50 a month. But it’s worth £7.50 a month all day long. Brad: And also check out the podcast session seven. Obviously, you’ve listened to this Mark. There’s a what’s a CRM system and why you need one. That’s in the lab with Brad. So if you go to goliathsourcingacademy.com/session seven, you can have a listen to that. And there’s an accompanying resource with like a list of kind of CRM criteria you might want to look out for. But as Mark said, if you’re just starting out, I would take the advice and go for Less Annoying. Don’t overwhelm yourself with something like Active Campaign right in the beginning. That’s a few wrongs along the path I would say. Mark: Yeah. Because even I am still in absolute awe of Active Campaign. And I don’t use it anywhere near as much as Brad would probably like me to. Brad: Yeah. So Russ has asked how difficult is it to change CRMs pathway through your sourcing journey. I would personally say my–Just bite in on that. I would say it’s actually not that hard. CRMs are essentially glorified spreadsheets. They just basically places where dates are restored and displayed and you can sort it in an interface. And then you can sort as you wish. So you can generally get somebody to import/export from one CRM to another for you. You can go and find somebody on Upwork to do that type of thing. So when you’re ready to make that change, it shouldn’t be too daunting. 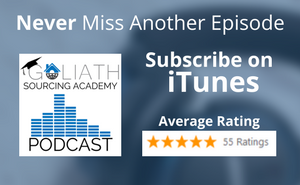 ← QA06: Knowing What You Know Now, How Would You Start Up A Property Sourcing Business Using A Small Marketing Budget?